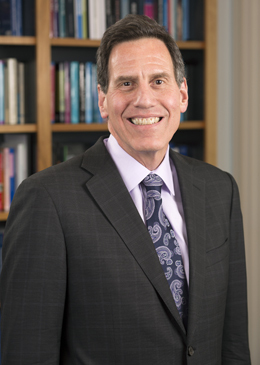 Dr. Baron, board certified in Internal Medicine and Geriatric Medicine, is President and Chief Executive Officer of the American Board of Internal Medicine and the ABIM Foundation. He was a former Chair of the American Board of Internal Medicine’s Board of Directors and served on the ABIM Foundation Board of Trustees. Dr. Baron practiced general internal medicine and geriatrics for almost 30 years at Greenhouse Internists, P.C., located in Philadelphia. Greenhouse was a pioneer in the comprehensive adoption of electronic health records in the small-practice environment. Following that, from 2011 to 2013, he served as Group Director of Seamless Care Models at the Centers for Medicare & Medicaid Services Innovation Center, where he led efforts related to accountable care organizations and primary care. Until joining the federal government, Dr. Baron also served on the board of the National Quality Forum and their Health Information Technology Advisory Committee, as well as the Standards Committee of the National Committee for Quality Assurance. Dr. Baron served as Chief Medical Officer of Health Partners, a not-for-profit Medicaid HMO set up by four teaching hospitals in Philadelphia, from 1988 to 1996. He was the architect of the Best Clinical and Administrative Practices program, funded by the Robert Wood Johnson Foundation and the Center for Health Care Strategies, working with medical leadership of Medicaid health plans around the country in learning collaboratives to improve the quality of care for their members. This program reached plans serving more than half of the Medicaid managed care population in the United States. Dr. Baron is a member of the Commonwealth Fund advisory group on Health Care Delivery System Reform and has served as co-Chair of the Public Health – Health Care Collaboration Workgroup of the Centers for Disease Control and Prevention. He is a member of the Aspen Institute Health Strategy Group. Dr. Baron received an English degree from Harvard College and his medical degree from Yale University. He completed house staff training at New York University-Bellevue Medical Center and served a three-year obligation in the National Health Service Corps in rural Tennessee.